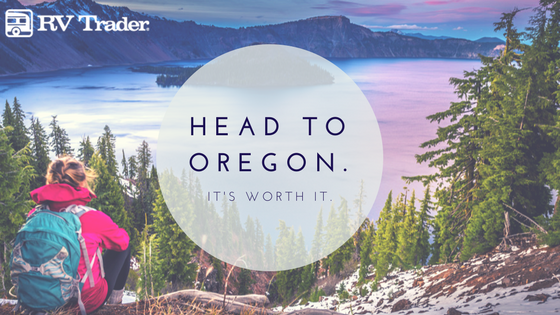 Head to Oregon. It’s Worth It. 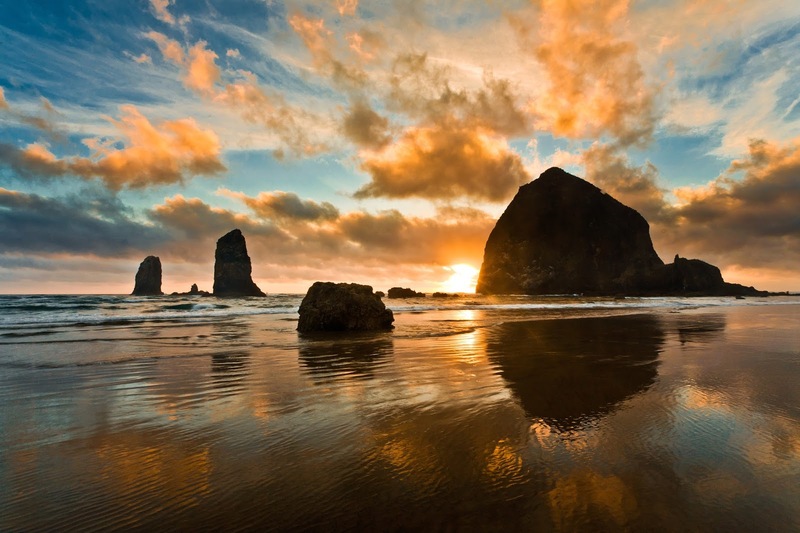 Oregon feels like the hidden gem of the United States. We were awestruck by how vast and beautiful the landscape is. The whole state is packed with amazing places to visit, all of which will make you feel like you’ve stepped into another world - but these are the ones we feel should not be missed. tropics. 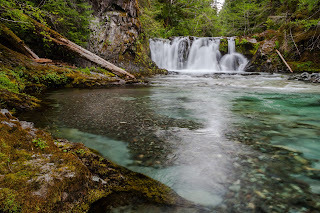 And the best part is - the hike alongside Opal Creek is equally as amazing. Deep within the Willamette National Forest, the trail is also scattered with remnants of the logging and mining industries that are a big part of Oregon’s history. There’s nothing like walking through pristine wilderness only to come across rusting metal that almost looks like it’s been there forever. 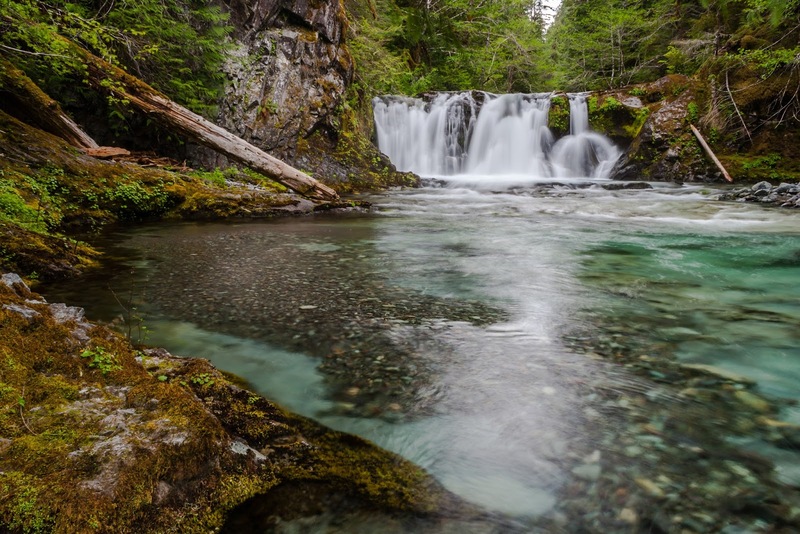 There are three really amazing landmarks within Opal Creek - (1) Opal Pool, (2) a natural waterslide, and (3) Sawmill Falls. Opal Pool is so clear you can easily see the bottom, but is known for being quite chilly - although on a hot summer day, that might be amazing after the hike. And who doesn’t love a natural slide? This is fun no matter the age range of people traveling with you. And last, but certainly not least, Sawmill Falls mixes the beautiful white from the falls with the deep green of the water - and it’s stunning. certainly are closer and - for those of us who prefer to RV, rather than fly - much more conveniently located. These amazing formations are found at Cannon Beach, but you should time your visit for low tide so you can get out to them. And the walk out is not short of wildlife. The low tide leaves behind plenty of tidal pools and you might just be able to spot a puffin hanging out on the rock as well. A few times a year, the tide gets so low - you can walk all the way around the behemoth and if you choose to venture out there at night, you’re sure to be impressed by the number of stars you can see. with things to do, and all of them will make you feel like you’ve stepped into some type of natural oasis. Honestly, we could probably make a list just of breathtaking sites in this one area alone - there are that many. The gorge itself is 80 miles long and borders the Columbia River, that divides Washington and Oregon. 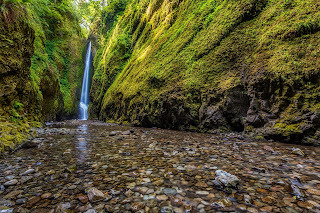 It’s so big it actually has gorges within it, including the Oneonta Gorge - and the beautiful green moss that covers the rocks on the side of this gorge has earned it the name the Emerald Canyon. 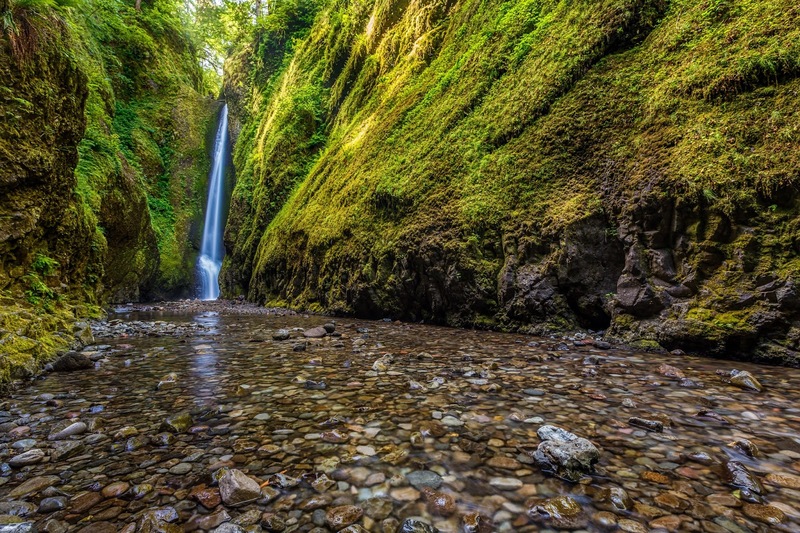 And, to make it even better, the creek that runs through the gorge is often the only way through - so make sure to wear you water shoes and be prepared to get wet. Oh - and to top it all off - the creek has several beautiful waterfalls throughout. Summer is heating up! 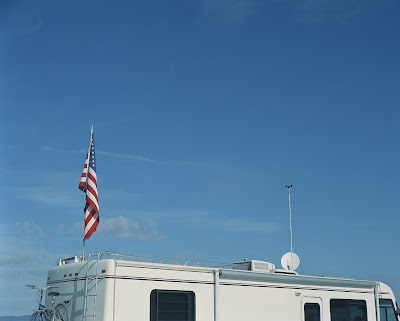 RVers, it’s time to perform routine maintenance on your roof-top air conditioner(s). 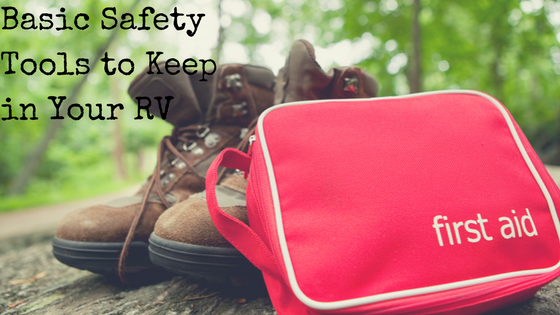 Follow these steps from FMCA and the “RV Doctor” Gary Bunzer to keep cool and extend the life of your RV’s A/C system. 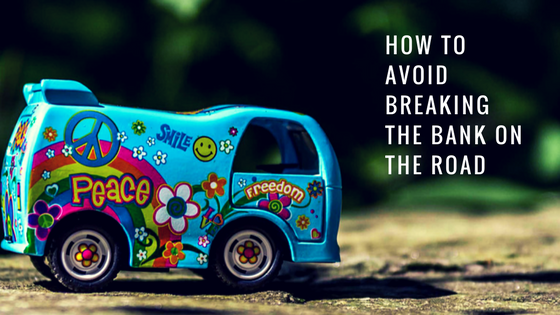 Overall, the average RV owner can perform this maintenance procedure in an afternoon. Prior to beginning, turn 120-volts AC power off at the breaker-box or unplug the RV from shore power. Step 1 This is an easy first step; in fact, you are probably already familiar with this task. All A/C systems –home and RV – require filter cleaning; some as often as every three months. From inside the RV, access the A/C unit’s filter(s). On some units, the interior air delivery shroud will have to be removed. Consult the owner’s manual if in doubt. Remove and wash all the filters in warm water or simply vacuum them clean. Get your chef on - Food is another major expense when traveling, but meal planning and prepping can be a huge cost saver. Take advantage of your kitchen on wheels and minimize eating out on the road. 9 times out of 10, cooking in your mobile kitchen will be more affordable than eating at a restaurant (no tips required)! If you do want to try the local cuisine during your trip, we suggest doing some preliminary research to see if certain restaurants have any deals or specials available - check to see if kids eat free on Tuesday's or if Groupon has a deal.